Windows 10 Fall Creators Update has landed and there were some chatter about improved frame pacing in Forza Motorsport 7 so we decided to see how the game performs with entry-level NVIDIA dGPUs. 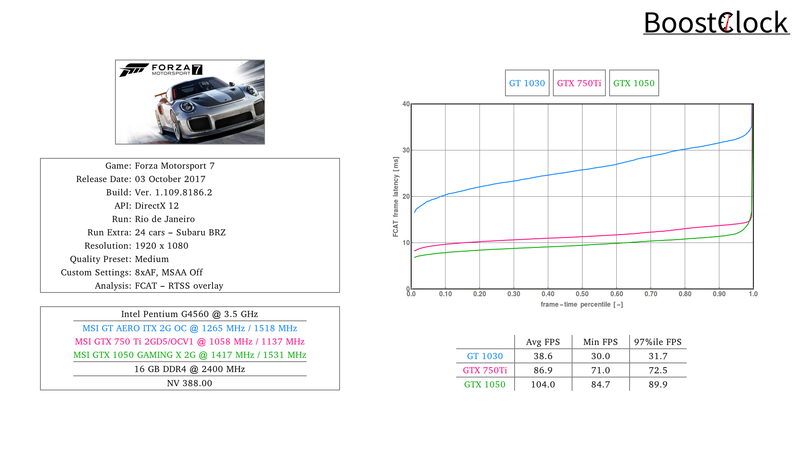 This time we race through the awesome city track of Rio de Janeiro in a Subaru BRZ and join a huge grid of touring cars in Silverstone. 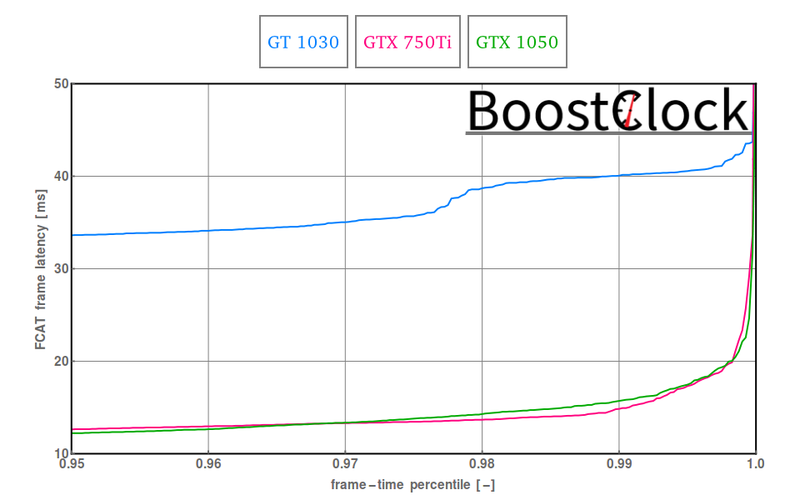 Something clearly hinders the performance of the GT 1030, the GTX 750 Ti runs circles around the smallest Pascal dGPU. 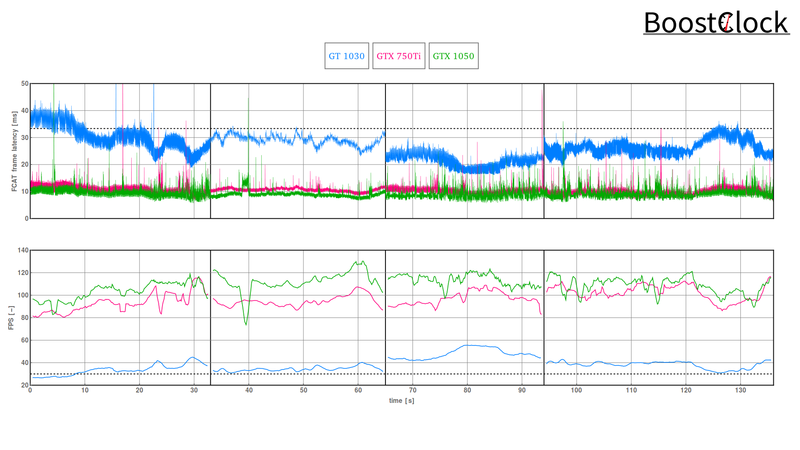 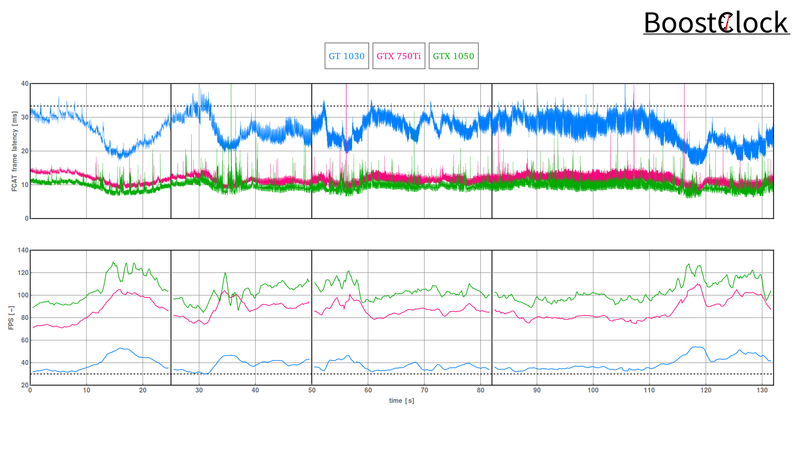 In our earlier test the GTX 1060 produced some huge FPS dips and the same issue blights the overall high FPS of the GTX 1050, plus it is the card that produces the most stutter - the GTX 750 Ti has produced the smoothest gameplay of all.